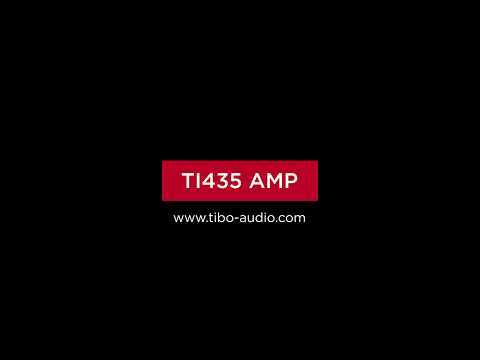 The TIBO TI435 AMP is the perfect companion for those entering into the first hi-fi system or those looking at putting together a second system in the study or bedroom for example. The TIBO TI435 AMP Integrated Amplifier is solidly built, sports a stylish design and delivers a detailed, rich and hugely enjoyable sound. A brushed aluminium front panel and polished aluminium control knob make a joy both to look at and use. The TIBO TI435 AMP incorporates an abundance of connectivity options for the user, including both analogue and digital connections, as well as a subwoofer output. It is a feature packed amplifier perfect for those who are making an entry entry into hi-fi, and with its 2 x 50W RMS of output power it is also one of the loudest amplifiers in its price point.